Twenty years ago today — August 10, 1992 — an Ariane 42P launch vehicle launched from Kourou, French Guiana, carrying the TOPEX/Poseidon satellite. Officially the Ocean Topography Experiment, TOPEX/Poseidon was a joint mission between NASA and France’s Centre National d’Etudes Spatiales to measure sea-surface heights from a space-based radar platform. It was also the second spacecraft in the “Mission to Planet Earth” program. 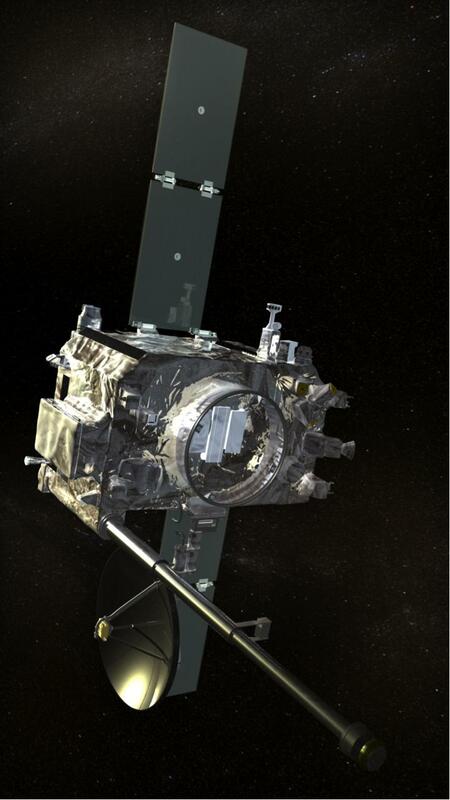 The TOPEX/Poseidon spacecraft was decommissioned in January 2006, but the Jason-1 and Jason-2 follow-on spacecraft are continuing the mission. The Ocean Surface Topography page presents details on all of the missions associated with the space-based study of our world’s oceans. So, next time you’re at the beach and thinking about how high the waves are, remember that satellites hundreds of miles above you are looking down, thinking about the same thing. Forty years ago today — July 23, 1972 — the Earth Resources Technology Satellite (ERTS) 1 launched from Vandenberg AFB atop a Delta rocket. According to this Landsat page, the choice of wavelengths for Landsat’s multispectral scanner (MSS) “was primarily based on forestry and geologic applications that had traditionally used Color IR photography.” At the time, multispectral imaging was “secondary and highly experimental,” according to this page, but scientists soon recognized the utility of the multispectral data. The spacecraft operated until January 1978, five years longer than expected. Thirty years ago today — July 16, 1982 — Landsat 4 launched atop a Delta rocket out of Vandenberg AFB. In addition to the Multispectral Scanner System (MSS) instrument, Landsat 4 (and Landsat 5) carried a sensor with improved spectral and spatial resolution, i.e., the new satellites could see a wider (and more scientifically-tailored) portion of the electromagnetic spectrum and could see the ground in greater detail. This new instrument was known as the Thematic Mapper (TM). The Landsat 4 TM instrument had seven spectral bands. Data was collected from the blue, green, red, near-infrared, mid-infrared (2 bands) and thermal infrared portions of the electromagnetic spectrum. 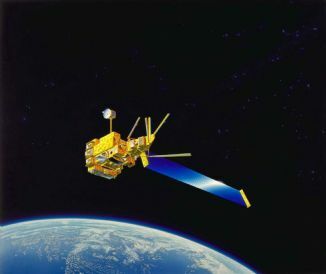 The Thematic Mapper was an important addition to the environmental monitoring instrumentation, and later Landsat spacecraft carried improved versions of it. Landsat 4 was designed to operate for 3 years. Although some of its components failed, it continued to operate in a limited capacity until 1993. 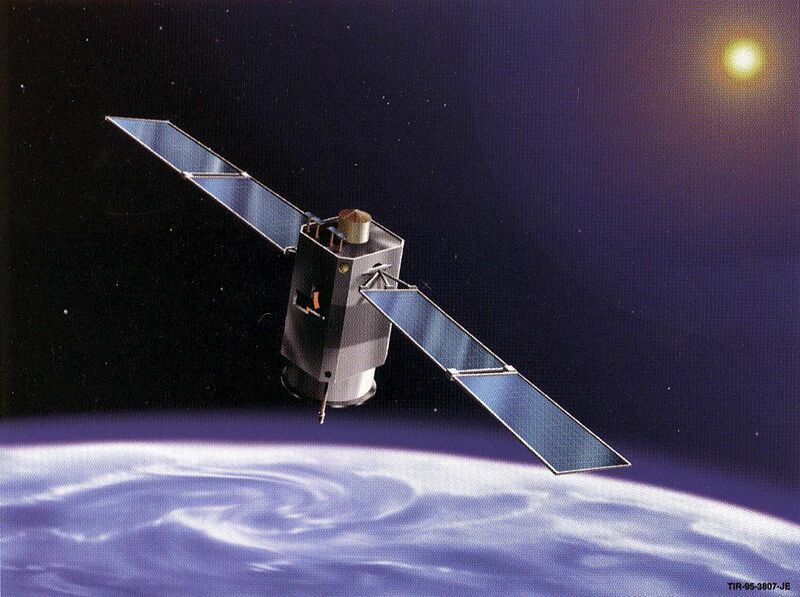 Thereafter, the spacecraft sent telemetry data until 2001, when it was decommissioned. Ten years ago today — March 1, 2002 — the Space Shuttle Columbia launched from the Kennedy Space Center on the fourth servicing mission to the Hubble Space Telescope. Astronauts Scott D. Altman, Duane G. Carey, John M. Grunsfeld, Nancy J. Currie, James H. Newman, Richard M. Linnehan, and Michael J. Massimino made up the crew of STS-109, and accomplished five spacewalks on this important mission. All of us who have enjoyed Hubble’s images and discoveries through the years can appreciate the effort to maintain and improve it over its operational life. Well done! For a little bonus space history, on the same day that Columbia launched, the European Space Agency launched ENVISAT-1 on an Ariane-5 rocket out of Kourou. At 8.1 tonnes (nearly 18,000 lb), ENVISAT-1 was “reported to be the most massive and expensive of the European satellites.” It carried ten instruments for remote sensing of terrestrial environmental conditions such as global warming and desertification. Five years ago today — January 10, 2007 — a PSLV-C7 rocket launched from Sriharikota, India, carrying four spacecraft including India’s first recoverable space capsule. The other two spacecraft were LAPAN-Tubsat, a microsatellite built by Indonesia, and PehuenSat-1, a picosatellite from Argentina. Ten years ago today — December 7, 2001 — a Delta-II launch vehicle carried two satellites into orbit from Vandenberg AFB. In earlier space history, on this date 45 years ago, Applications Technology Satellite 1 (ATS-1) launched from Cape Canaveral atop an Atlas Agena rocket. ATS-1 was a test platform for new spacecraft design concepts, particularly propulsion and attitude control, as well as a remote sensing satellite that collected meterological data and cloud cover images. ATS-1 also tested improved satellite communications. Five years ago today — October 26, 2006 — a Delta 2 rocket out of Cape Canaveral placed two solar observatories in orbit. The Solar Terrestrial Relations Observatory consisted of two identical spacecraft, STEREO-A and STEREO-B. Once in space, the two satellites were allowed to drift into different heliocentric orbits: STEREO-B ahead of the Earth (leading), and STEREO-A behind the Earth (lagging). From those vantage points, their observations could be combined to image the Sun “stereographically” and predict whether a coronal mass ejection was heading toward the Earth. In other news, I’m heading to the World Fantasy Convention today. Folks have been urging me to go to WFC for years; it’s a small convention, primarily of SF&F professionals. 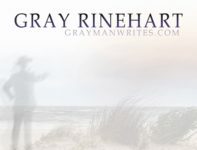 It seems a little odd to think of myself as an SF&F professional in my own right, but my 3rd and 4th professional sales are forthcoming: more on those later, when the contracts are signed (or when the editors give me the okay). Fifteen years ago today — August 17, 1996 — the Japanese launched the first of a series of environmental remote sensing satellites, and the Russians launched a mission to Mir that included the first female French astronaut. ADEOS, which was later renamed “Midori,” was the ADvanced Earth Observation Satellite and was launched from Tanegashima Space Center on an H-2 rocket. The spacecraft operated until mid-1997, measuring winds, ocean surfaces temperature, atmospheric aerosols, ozone, and greenhouse gases. You can read more about the first ADEOS/Midori spacecraft on this JAXA page. And Soyuz TM-24 launched from the Baikonur Cosmodrome atop a Soyuz-U launch vehicle, bound for the Mir space station. Russian cosmonauts Valery G. Korzun and Alexander Y. Kaleri flew on this mission with Claudie Andre-Deshays, the first French woman in space.